We provided a professional carpet and upholstery cleaning service to the Malmaison hotel in Reading, Berkshire and by doing so we have increased the air quality and appearance of the carpets and furniture. This has helped to provide a welcoming, clean environment for customers. We have also provided longevity for the carpets and upholstery in using our top of the range products and equipment. We were able to respond at short notice to provide this service on a Saturday. 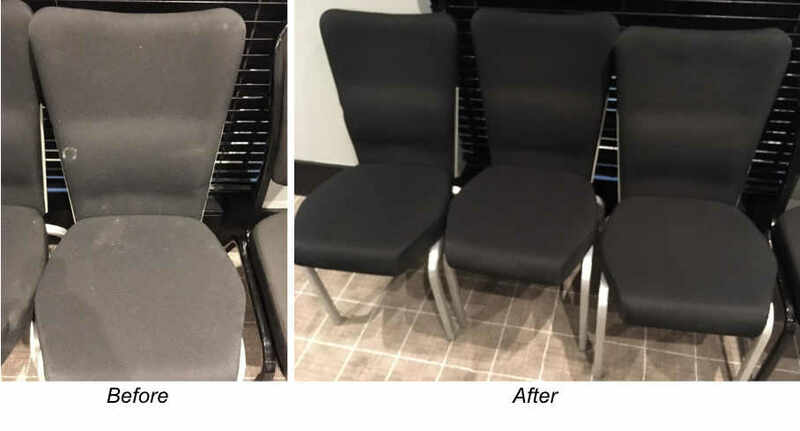 We cleaned over 100 pieces of upholstery and some carpeted areas, and it was important to ensure that the areas were cordoned off from the public and that we provided a quality and time efficient service without any disruption to the hotel or its customers. Our cleaning operatives are fully trained to carry out the works in hand. There is always a Ryemead Manager on site who is IOSH trained to coordinate works on the day. If you’d like to learn more about our commercial carpet and upholstery cleaning services, please visit our web page or get in touch. If you’d like to get an instant estimate for cleaning your commercial carpets and upholstery, please use our instant estimate tool. PreviousPrevious post:Importance of professional facilities management for retirement villagesNextNext post:Do you need your signage professionally cleaned?